10" x 10" Oil Painting on Canvas. I created two paintings from a photo I had taken of two unoccupied Adirondack chairs along the beachfront of Blue Harbor Resort, Sheboygan WI. 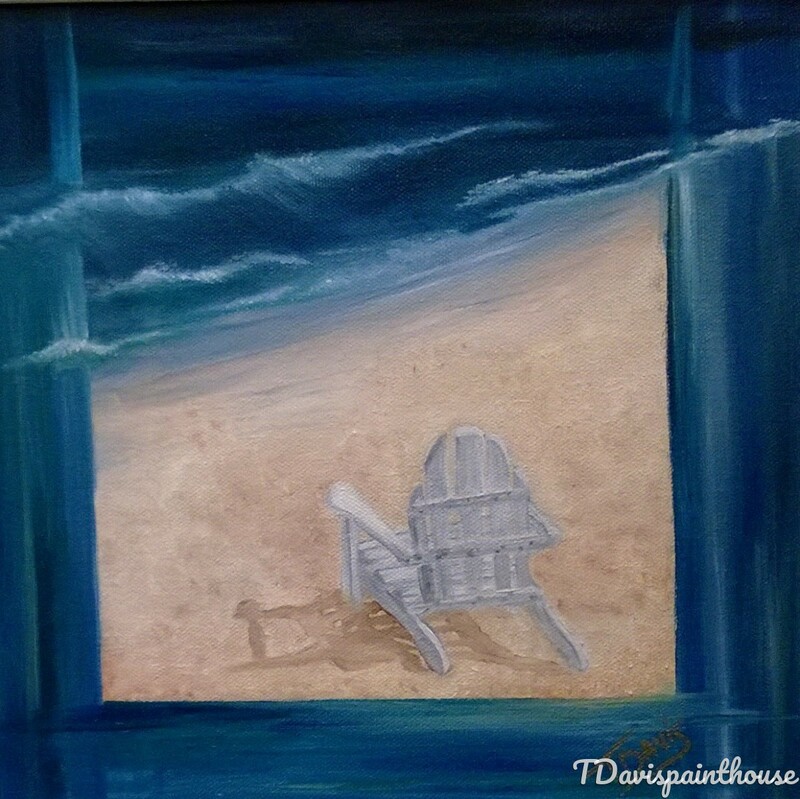 When the two paintings are hung together, it creates the visual affect of both chairs facing each other, waiting for you to sit and enjoy the peaceful unleashing of the waters of Lake Michigan. Sold in a white painted wood frame, ready to hang with a wire backing. Framed Dimension 11.5" x 11.5".